Our entire crew was at Scottsdale plaza this am taking down all signage for their upcoming roof repairs. 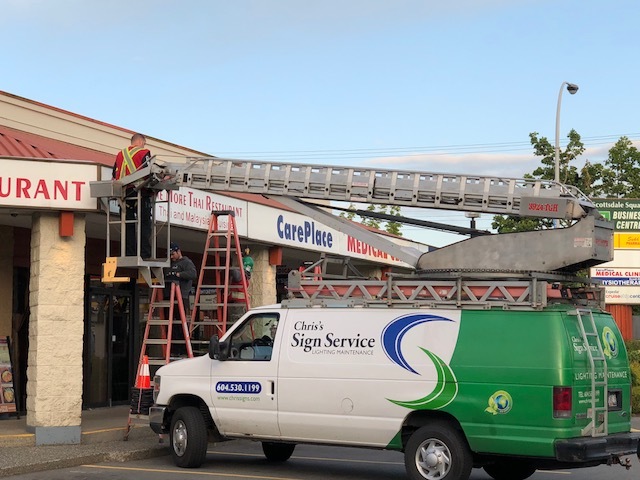 Once the repairs are done, all of the signs will be put back up! 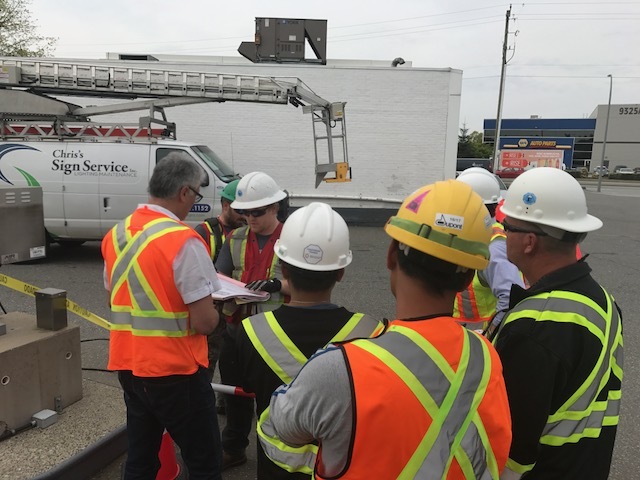 Another successful Shell Safety Day at the Shell Canada station at 96 Avenue and 200th Street, with a Bucket Truck Demonstration by Chris’s Signs! What do our Account Managers do? 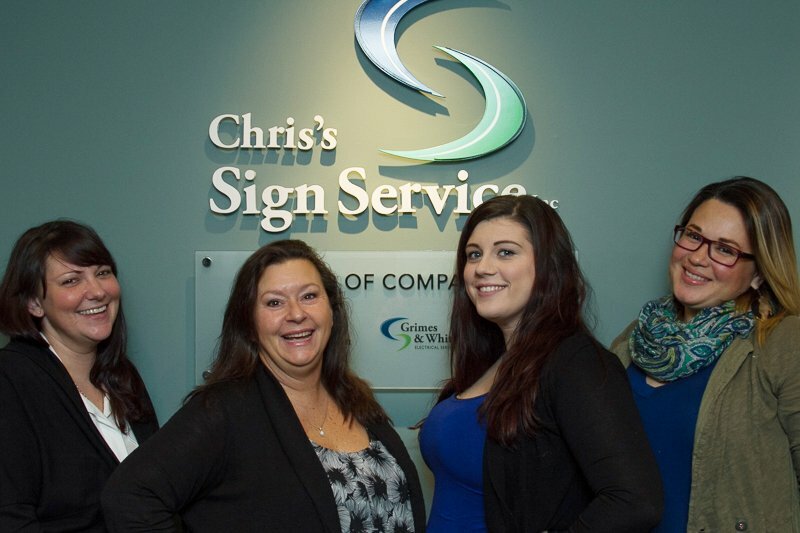 Chris’s Signs was a proud sponsor of this years Ronald McDonald House Vancouver Golf Tournament. Together thanks to the generous support of all sponsors, $125,000 was raised to support Ronald McDonald House BC and Yukon. Here are some pictures of our own Kevin Balzer participating in the event. Owner Chris Davies is no stranger to the West Coast Trail, having traveled it several times over the years. This year he brought Service Manager Kris Friesen along for the trip, making it in a speedy 3 days! Our team was out in full force at the Husky Gas Station on Victoria Drive in Vancouver. Check out some pictures! Helping to support Ronald McDonald House BC by participating in their annual Gold Golf Tournament. Thanks to Tom for helping to save some baby Kildeer that were stuck on the roof of a Shell Gas Station! Read the BC SPCA’s post on how we helped on Facebook!